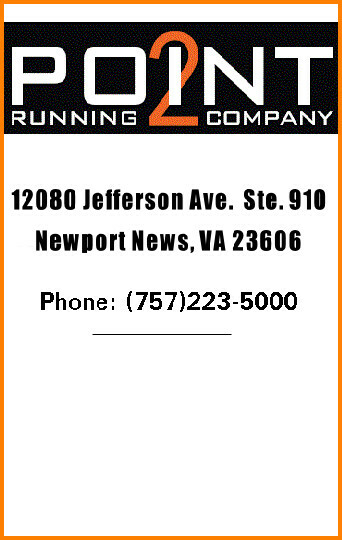 Mondays at 6:00 p.m. – Williamsburg – The DOG Street Pub Running Club 5K fun runs continue at 6 p.m. from the DOG Street Pub, Merchants Square, 401 W. Duke of Gloucester Street. Registration (no fee) starts at 5:30 p.m., 5K fun run (no official times) starts at 6 p.m. and goes through Colonial Williamsburg and the William and Mary campus. Late starts OK until 7 p.m. but must know course. Post-race social with drink specials every week from Williamsburg’s Alewerks Brewing Company, along with sandwich wrap specials. Weekly event all year long, casual, family and dog friendly. Contact DOG Street Pub at 757-293-6478. 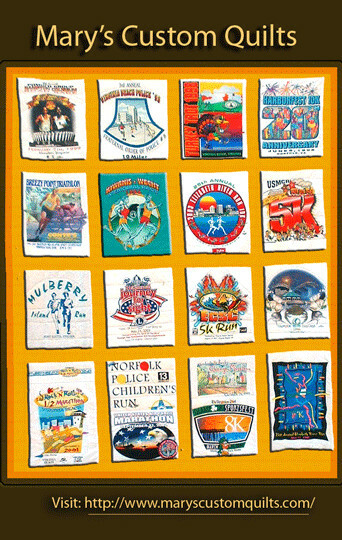 Wednesdays at 6:00 p.m. – Yorktown – The Water Street Grille Running Club 5K fun runs (no official times) continue at 6 p.m. from the Water Street Grille, 323 Water St., Yorktown 23690. 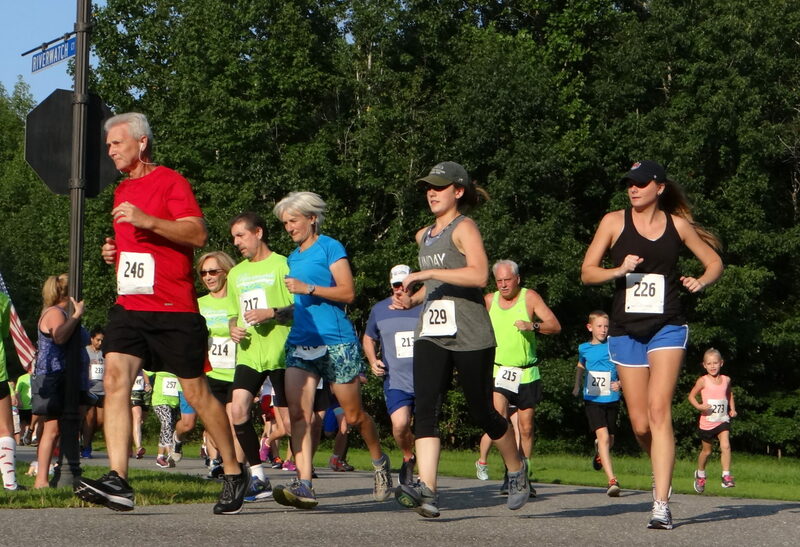 Registration (no fee) starts at 5:30 p.m., fun run at 6 p.m. Run along the Yorktown Riverwalk, the beach loop, past the Yorktown Visitor Center, Main Street and finish under the Coleman Bridge. Post-race social with drink specials and food specials every week. Weekly event, casual, and family friendly. Contact Water Street Grille at (757) 369-5644. Thursdays at 3:00 p.m. – Williamsburg – Warhill Trail Distance Run Workout, 3:00 p.m., meet at parking lot in front of WISC (Williamsburg Indoor Sports Complex), nearest the soccer fields of the Warhill Sports Complex (off Longhill Road, just past Lafayette High School). Course is totally soft-surface of hard-packed gravel and dirt Warhill Nature Trail, a wooded, shaded, scenic route. Distance options of 4 to 8 miles, including warm-up (main loop is 3.6 miles). Usually led by Jim Gullo. Contact Jim Gullo (856-404-0032, coladog@cox.net) or Rick Platt (757-229-7375, 757-345-1431, rickplatt1@juno.com). Saturdays at 6:00 a.m. – Williamsburg – “Enterprisers” distance run, 6:00 a.m., Merchants Square of Colonial Williamsburg. Meet in parking lot between the Baskin-Robbins ice cream shop and the Trellis Restaurant. Distance runs of as much as 16 miles, including optional 3 mile add-on, starting at 5:30 a.m. Workout routes are announced each week on Thursday or Friday. Lisa Osterhoudt email: lisaann0714@yahoo.com or Bob Fairbairn email: refairbairn@gmail.com. Monthly runs from the Billsburg Brewery/Jamestown Marina – Williamsburg – Colonial Road Runners Group Run and Social Gathering – Sunday, April 15 – 11:00 a.m. – Open to CRR members and non-members of all ages and skill levels. Due to numerous Saturday morning races, these runs have switched to a Sunday morning race time, specific date determined monthly by workout coordinator David Glass. Meet at 11:00 a.m. for workout start, but can arrive early for warm-up or stretching. Course goes out to the Jamestown Island visitor’s center and Jamestown Island tour loops. Multiple distance options: a 2-3 mile out-and-back, and 6-mile or 8-mile out-and-back with two loop options. Jogger-stroller friendly routes. Following the run, gather at the Billsburg Brewerey tap room for refreshments, with beer, soda, juice boxes, water and light snacks. Typically a food truck is on site on weekends. The brewery opens at 12 noon. Some skip the run and come just for the social at Billsburg. Questions: David Glass email: dglass@yahoo.com or Jason Miller email: jasontmiller@cox.net.